ENDED: Appy Kids review and GIVEAWAY!!! Please, do try to contain your excitement!!! 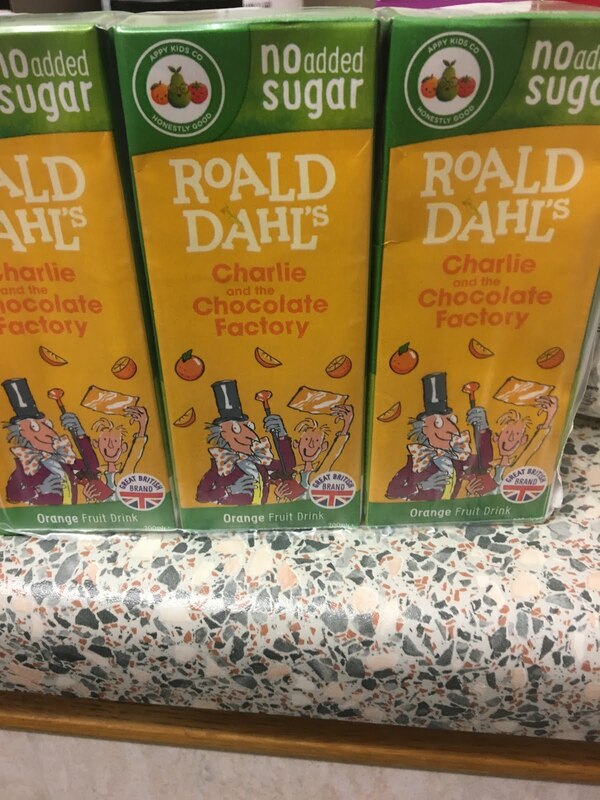 Organic, fruit juice cartons, adorned with cute characters of Roald Dahl children’s books on the boxes as a new addition. They also come in Dora, Ninja Turtles, Peppa Pig or Paw Patrol characters! Even though my little one is too little yet to know and love Roald Dahl, in time she will do, and it is so refreshing to have products like these marketed at children with literary characters on the front! 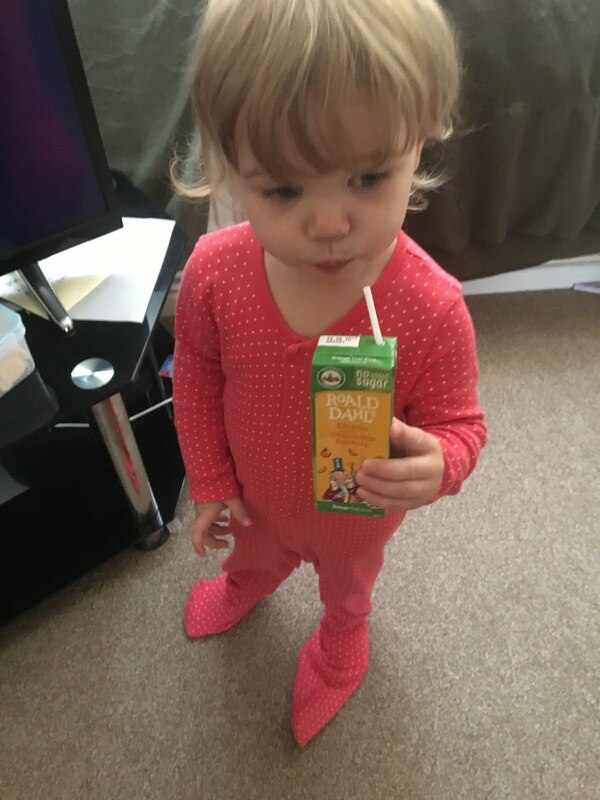 I’m all for encouraging kids to take an interest in reading, and if these end up being her favourite characters it’s great that these organic drinks are available with them on the box! The drinks contain absolutely no GMOs, gluten, added sugars or preservatives, making them a great and tasty choice for kids’ drinks. We’ve had three flavours to try – apple, mixed berries, and orange. I won’t lie, I have had little sips when I’ve been giving them to the munchkin, and they taste AMAZING! No wonder she drains the carton in no time at all! They’ve been a huge hit. Her favourite was the mixed berries (but out of the sips I had, I liked the apple the most). They’ve not only been a hit with the little one, but with the big one (8 years old) too! 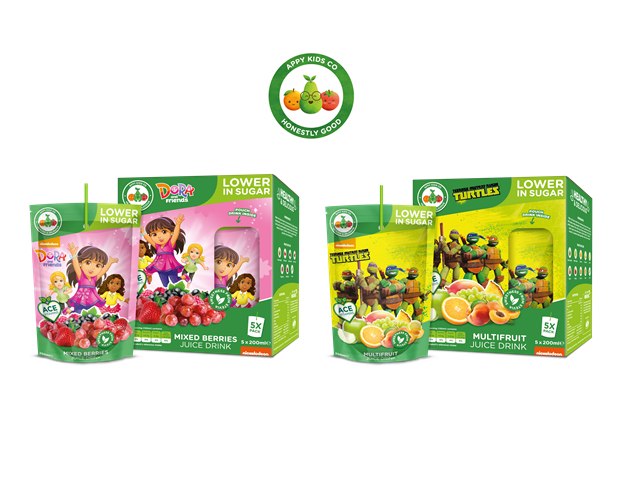 They’re the perfect little fridge-filling drink for kids of all ages, especially with such a range of characters! They’ve also been incredibly handy little cartons to take out and about with us! They make meal times easier too, and funnily enough we had absolutely no accidents with squeezing the box too hard! Follow AppyKids Co on Twitter! 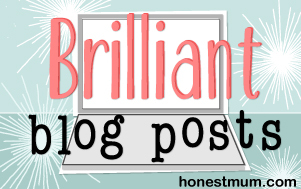 Comment on this blogpost to say you’ve done all of these! 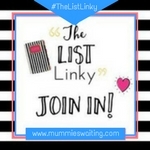 Check out some other great competitions (as well as ours) on the Tots 100 Competition Linky here and on the UMeAndTheKids Competition Linky here! And if you use Pinterest, be sure to join the #BloggerPinParty and pin this competition! This counts as sharing on social media to get extra entries! Done all of these. Thank you for running such a lovely competition. Thank you! You have 3 entries. Winners will be announced shortly after the closing date. Thank you, you have one entry. Please RT our pinned tweet, Pin it or share on Insta with a tag to us to get more! Congratulations Gem Gem! Please email us with your name, address and contact number to arrange delivery! Previous Post Mental Health Monday: 5 ways to cope with stress!